I probably don't need to tell anyone who reads this blog on a regular basis how I feel about C.S. Lewis. Coming up with a way to describe how much I've enjoyed his writing and the spiritual growth that I attribute to him is pretty much impossible. This year I've reread The Screwtape Letters and The Great Divorce (amazing, just as they were the first, second, third...times), and last night I read A Grief Observed for the first time. A Grief Observed was originally written under a pseudonym (N.W. Clerk) and is a chronicle in journal form of the emotions experienced by Lewis after the death of his wife from bone cancer. It is haunting and beautiful and heartbreaking all at once. If you've lost a loved one, there is something in this book that you can identify with. It's a fairly quick read, if you read it straight through. I think I spent a total of about 45 minutes on the entirety. However, this isn't a book that you read once, straight through and put away. I will be keeping this one on my shelf and pulling it out for days (and years) to come. I can already tell it's going to be like his others - books that I enjoy over and over again and gain something from every time I pick them up. I particularly appreciated (enjoyed isn't a word you'd want to use to describe this type of book, although it is so beautiful it's hard to say I didn't enjoy it) the way we see Lewis progress through his doubt. 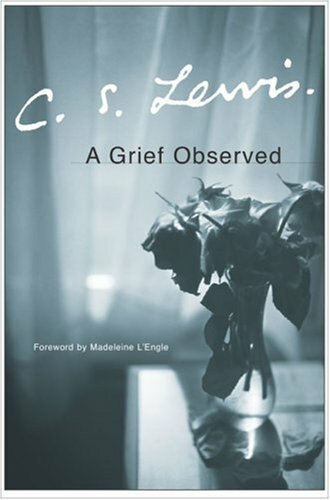 If you weren't aware, Lewis was a Christian and this book chronicles how he reconciles a loving God with the suffering and death of his dear wife. The book is divided into four parts, and Lewis progresses through anger at God, questioning of his faith, and the hurt from well-meaning friends quoting cliches in an effort to comfort him. The foreward by Madeleine L'Engle perfectly describes the book. 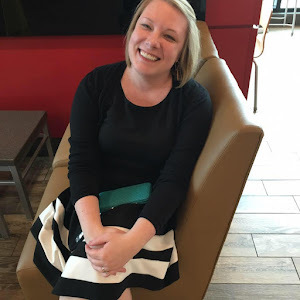 She writes about how your experience with grief may not be the same as Lewis's, but you can identify with what he writes no matter how your experience differs. A Grief Observed is intensely personal, and makes no effort to document the human experience of grief or make any broad statements about the state of grief. Rather, it details one person's experience with the loss of his beloved. It is beautiful and touching and I promise you will not be sorry you read it. I've seen his books in the book store a few times and I always think of you when I see them. This post makes me think I should be picking them up to read. Which one would you recommend to read first? Awww! That makes me feel so special. He is an amazing writer. I recommend starting with Mere Christianity for his Christian non-fiction. For his adult fiction, definitely The Screwtape Letters or Till We Have Faces. For his academic non-fiction, try An Experiment in Criticism.